Maybe it's a bit instinctual but it seems like every winter I get this strange desire to start consistently taking omega 3 fish oils. Even though I live in the south where I can pretty much wear a light jacket for most of the winter months, I still think about arctic climates where all of the animals are filling up on cold water fish loaded with omega-3 fatty acids. In previous posts, I've discussed using quality fish oil and even krill oil capsules in my regimen to support my omega 3 dietary requirements. Recently though, I've decided to take it up a notch and go "all liquid" with my omega 3 intake. In the past, I attempted to create a habit of consuming liquid fish oil for at least 30 days. While I was successful at this 30 day challenge, it did translate into a long-term habit. Looking back, I think I set myself up for failure in the long run. I say this because I purchased a lower quality liquid fish oil from a super-retailer. The cod liver oil was a thick "creamy" liquid opaque in color with a harsh lemon flavor covering the even harsher fish taste. It was not pleasant. This time, I've decided to change my strategy so I can ensure my success in this new daily habit creation attempt. For one, I've decided to upgrade the quality of my liquid cod liver oil. Since I was already taking in Nordic Naturals supplements I was aware of their high quality. The supplements don't give you that fishy burping side effect one may find with lower quality oils. I've heard that fishy burps maybe due to consuming rancid fish oil. So off I went to Vitamin Shoppe in hopes of coming back with a liquid cod liver oil supplement that I could actually consume on a daily basis (long-term). 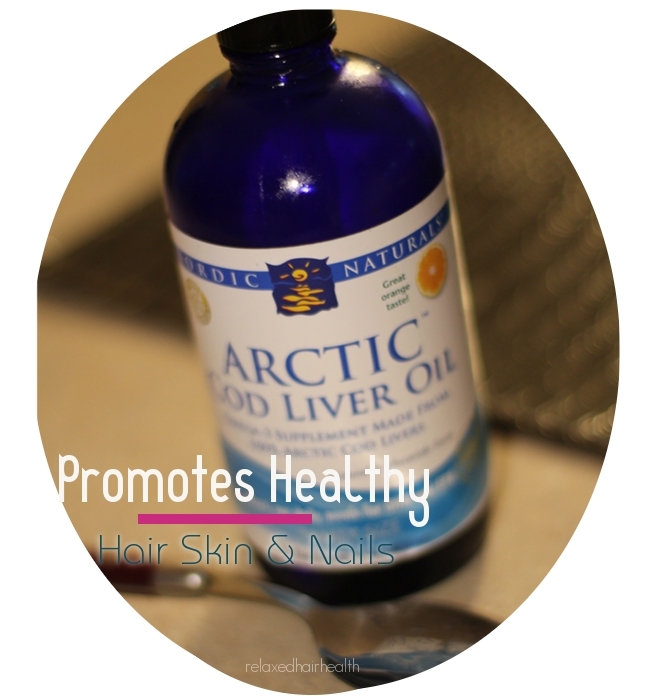 I picked up a bottle of Nordic Naturals and was on my way. Fast forward two and a half weeks later and I must say that I'm pretty proud of how consistent I've been in taking a spoon full of the lightly flavored lemon fish oil each morning. I attribute my success to how wonderfully light and palatable this stuff is. Sure, in the end, I'm still taking in a spoonful of oil but let me tell you, I can see myself taking this on a regular basis much more consistently than in the past. In the past, I felt like I was setting myself up for failure before because I wasn't really enjoying the experience. This time around I'm shifting my mindset around the whole "liquid fish oil" thing by creating it as a pleasant experience in my mind vs. a negative one. So now, just prior to consuming the oil, I take a brief moment to reflect on the benefits I'll receive from taking this action and I might silently say to myself "I have flawless, glowing, skin and healthy, shiny hair." Then, right after I've taken the oil, instead of gagging and making faces of disgust, I smile, look in the mirror, and reaffirm the benefits I am receiving. This changes the entire experience to a pleasant one that I don't mind repeating on a daily basis. I've even purchased a second bottle, though I still have half a bottle left, so I can ensure I continue this practice without the possibility of using that fact that I've run out as an excuse to break my routine. So what's in it for me? One of my intentions is to promote a healthy scalp. More specifically, I'm hoping the omega 3 nourish and lubricate my hair follicles by impacting my dry, itchy scalp. Usually by now, my scalp is a dry, flaky mess but I must say that I've seen some improvement as of late. The amount of shedding I experience is much less than I would normally get this time of year. I know that the full extent of fish oil benefits will only multiply when I continue this habit long-term. Of course I'd like to create hair that is more resistant to breakage due to the increase (or adequate) levels of lipids in the strand. My battle against dry hair is always first priority for me and this habit sets the foundation for battling dry tresses. For those of you who know you've been slacking a little in supplementing your diet with omega 3s, this is your opportunity to get it right this time with a quality fish oil. Commence this habit today and 3 months from now you will be glad you did. Here's to starting the new year off with beautiful skin and healthier hair! For those of you who are information nerds, like me, here are a couple of vids describing Nordic Natural's high standards in creating the cod live oil. I have a cheapy super center brand too. I use to take 1 tablespoon daily and would feel sick from fishy burps all day. I cut it down to 1 teaspoon and I have no fishy burps now. I think a tablespoon was too much for me. The thing I don't like about this fish oil is that it has glycerin in it for some odd reason. I seen this knowlegable ladies video before. And I plan to buy that brand next. Thanks for the review. The fatty acids in cod liver oil are also very important for the development of the brain and nervous system. "If you want to prevent learning disabilities in your children," said David Horrobin, distinguished medical and biochemical researcher, "feed them cod liver oil."